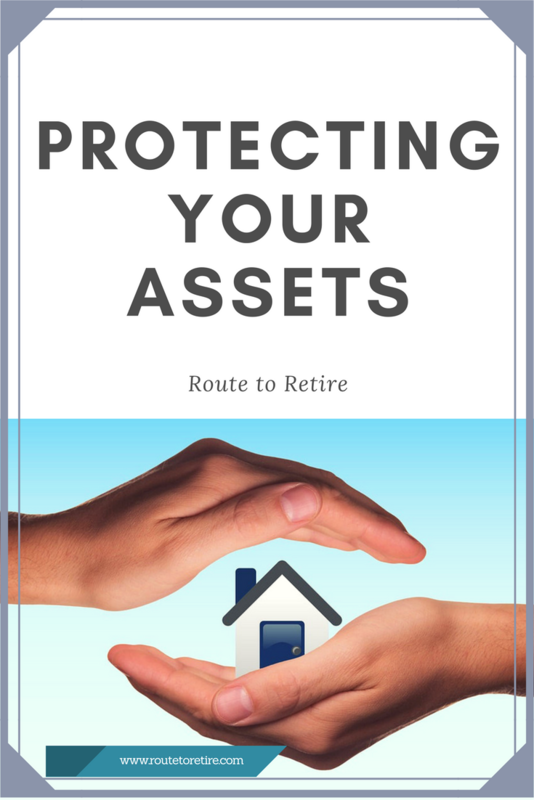 So, you’re going down the right path on the road to financial freedom slowly but surely, but you want to make sure that you’re protecting your assets in the meantime? Well, hopefully, this post will help you with some ideas! I’ve noticed that as I’ve started to build up my assets, my needs have started to morph as well. I now have rental properties, multiple LLCs, and growing and expanding savings, investment, and retirement accounts. And, as the accounts continue to grow, a lot of the money is starting to work more for me instead of the other way around. But, I now have a lot more to lose than when I first started down this journey. Making sure that I don’t lose what I have gained has become very important. Remember that you’ll want to consult with a financial advisor or attorney before doing any of these things. But, here are some different methods I’ve been looking at to help ensure that we don’t lose the progress we’ve made. For my regular readers, you know that my wife and I have a six-year-old daughter. If you don’t have kids, that’s one thing, but if you do, it’s imperative that you put some type of estate planning in place. At the very least, you should have a will for yourself to make sure that your plans with how your kids are cared for are documented. We’ve gone a step further with our estate planning to have a revocable trust instated along with durable powers of attorney, health care powers of attorney, and living will declarations. We’ve also moved the assignment of our LLCs to be under our trust. Although we had some attempts early on in doing this ourselves, we ended up going to a very good attorney a few years ago to help with all this. It wasn’t cheap, but I sleep better at night knowing that we’re in much better shape for doing so. You can read more about our estate planning here. I’m currently the breadwinner in our household. If I die, I need to be sure that my wife and daughter don’t end up in foreclosure because they can’t make the house payments. I went with term life insurance for a 20-year period about six years ago. 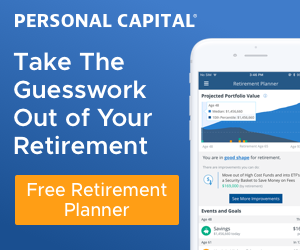 There are tons of more complex versions of life insurance out there that pay you in some form or another in various structures. However, any financial advisor out there worth a lick will tell you that you should keep your investments separate from your insurance. 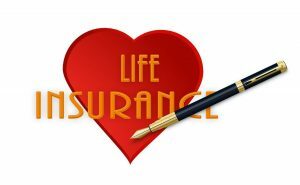 Life insurance is that – insurance. And term life insurance is not expensive. You can take the money that you’ll save choosing this over another form of insurance and invest it separately. Chances are good that you’d come out much further ahead. It gave us peace of mind that we were well-covered. In addition to the house, I want to ensure that my daughter is taken care of as well. Any extra money could be put toward her college tuition… ugh!! As the years have passed, that number already doesn’t seem that high anymore. In fact, I’m guessing that by the time we get a couple years from the policy expiration date, that amount of coverage would be just enough. We also did a policy covering my wife at the same time. In the handful of years that have passed though, we’re talking about if it makes sense to keep paying on that or to let it lapse. She’s now part-time and the case to have that policy doesn’t make as much sense anymore. Short-term disability covers you in the event of an accident or sickness that prevents you from being able to work. It usually takes effect after a week or two and pays a percentage of your pay for an amount of time such as half a year. Not everyone needs to have short-term disability. 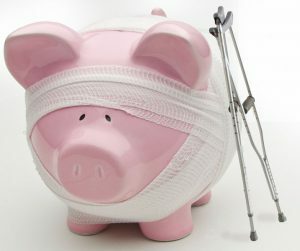 If you have a strong enough emergency savings or another way to reasonably cover your expenses in the event you can’t be working, you might be Ok.
We decided not to buy short-term disability for that reason. We should be good to cover our bases in the event that I would be unable to work for a few months. Long-term disability is a different story. 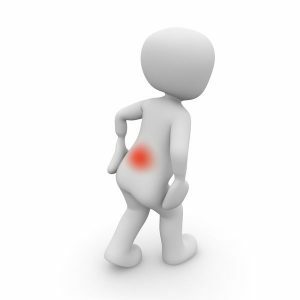 In the event that you can’t work for a long time (maybe a chronic disease strikes or back injury or some other great time), you’ll be hoping you have long-term disability in place. It kicks in a little longer down the line after maybe a half a year of your being out of commission. Many workplaces offer their employees long-term disability coverage. If it’s covered as a benefit, that’s great. If they’re charging a premium for it, you’ll want to compare that against some other providers to see if it makes sense. My company provides long-term coverage. However, when I tried out a financial advisor last year, he asked me to dig further into this. I did and found out that it pays 60% of my income, up to $3,000 per month. While that’s great, that’s not going to cut it for us. I’m currently shopping around for additional insurance to have for us in the event of a catastrophe. This will be a policy to overlap with the coverage I get from work. My hope is that we won’t need to have this coverage too many years since the plan is to give my 9-5 the boot in a few years anyway. If you think forming a company is only for the big guys out there, think again. Anyone who does some type of business where there’s even a remote possibility of a lawsuit against them should form a company with the state to help in protecting your assets. You’ll want to talk to an attorney or CPA to help determine the best type of company you would want to form, but in most cases, they’ll probably recommend a Limited Liability Company (LLC). An LLC can help separate your business assets from your personal assets and that’s exactly what you want – protection from someone potentially harmed from your business from going after your own house or life savings! The most important part of an LLC though is that you keep your business and personal accounts separated. If you commingle your accounts and transactions and don’t treat it like a business, it’s very possible that someone could pierce the corporate veil and go after your assets. The simplest way to do this is just to get a business bank account. Do all your transactions for the business through that account – have any checks made out to the business and pay bills relating to the business from that account. I currently have two LLCs – one for my publishing company that I formed in order to publish a couple of technical books I wrote and the other for my rental properties. I’m also likely going to be forming another LLC for my next property that I’m working on getting. If a tenant falls and gets hurt at one of my properties, the LLC will hopefully help in protecting my assets such as my own residence. However, the tenant can go after anything in the LLC – and that includes other properties. So right now, they could go after both of the properties in my LLC. Some people will form an LLC for every property they own and that’s not a bad idea at all. The only downside is that it starts to become a little much as you accumulate a lot of properties. I’m going the middle-of-the-road on mine. I’m going to keep a maximum of two properties in each LLC, which is why I’ll be forming another once I buy my third property shortly. It’s an easy task to form an LLC with the state and is usually very inexpensive – although I believe in states such as California, they charge a good chunk of change on an annual basis for this, so be careful to check how it works in your state. Ah, the good old umbrella policy! 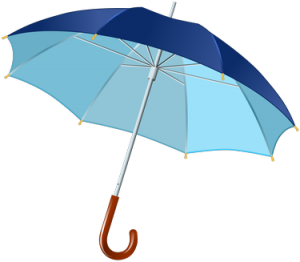 I’m a little newer in having an umbrella policy in place – I just got one a couple years ago. If you’re unfamiliar with how these work, they’re a form of cheap insurance that provides coverage above your home and auto policy. For instance, if you got in a car accident and you’re at fault, your insurance may cover up to $250,000 for the other guy’s medical bills. But what happens if the medical bills are much higher? What if they were $750,000? It’s likely he would sue you and come after everything you have including your home and savings to cover those $500,000 in costs. That’s where an umbrella policy would be helpful. This type of policy would cover that gap of the extra $500,000 for you. What’s nice though is that, because it’s not used very often, the policies are generally pretty cheap. I’m currently paying $250 a year for $2,000,000 worth of coverage. Not only that, but that policy covers most everything. I’ve added our LLCs as “additional insured” on the policy so this would also help cover accidents at the rental properties above the costs of what our standard policy covers. This is one cheap policy that not enough people have – dig into this one! 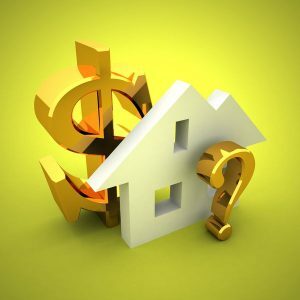 There are plenty of other options that should be considered when protecting your assets, but maybe I hit on one or two that you don’t have and might be considering now. Of course, you should have other basics already in place right now – auto insurance, home insurance, health insurance, etc. What other suggestions do you think are important when protecting your assets? I heard something similar, but it was more on the amount of your umbrella. In other words, if you had $1M in coverage, it might not make sense to increase it because, they would just go after the whole amount. Now, that was just a guy stating his thoughts – he isn’t a lawyer and could have just been giving his opinion. We’re due to redo our will. We did our last one as roll our own after the first child. We’re now starting the search for a new lawyer as things are more complicated with kids and significant assets. 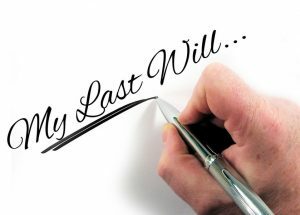 Any tips for good ways to find a estate planning lawyer? I think the best way is generally going to be a referral. I had talked to a friend of mine who’s an attorney (in a different area of law) and he gave me the recommendation for the firm I used. After all was said and done, I found out that they’re one of the best firms in the state, so that made me feel pretty confident with the work that was done. Great read thanks. I’ll be going no after the LLC and umbrella policy for sure! I also urge people to talk to an “insurance guy” about there home, car, or landlord insurance. I just did mine and was surprised by the amount of gaps I had that my agent didn’t advise me on. Thanks, Financialbloke – that’s a great idea on talking to an insurance guy. I use a broker and still feel like I have to direct them on the things that they might not have included or even asked me about!